Lori Greiner is a true success story in Her own right. After being bit by the entrepreneur bug at an early age, Lori has gone on to invent and develop almost 400 unique products in less than two decades and now controls over 100 patents. Lori got Her first big break when She designed a convenient way to organize all her earrings. In fact, Greiner's original product conveniently holds up to 100 pairs at a time. In less than a year, Lori sold we'll over a million dollar's worth before making a deal with QVC. Greiner also featured her earring organizer on the Home Shopping Network where they completely sold out within minutes after being broadcast on T.V. These days Lori Greiner has become more of a role model for anyone with a great idea that wants to bring it to market. Greiner's success story has been written about in several major magazines to the point of almost making Her the poster girl that takes a good idea and turns it into gold. She's also known these days as the QVC Queen for offering brand new unique products that meet her strict requirements. The Lori Greiner Brand, is closely tied with the QVC Group, and now she's a Star on the Shark Tank Show. Lori has been hosting her show on QVC “Clever & Unique Creations by Lori Greiner,” for over ten years and counting. 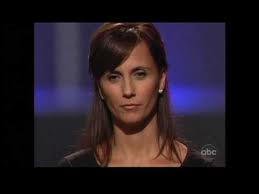 Lori first appeared on the Shark Tank in Season 3 with a few cameo spots bringing a whole new feel inside the Shark Tank. Even though She was only on a few episodes, Greiner managed to tie for third place along with Daymond John for the most active Shark Investor's during the entire season. Out of the 27 deals made during the entire season 3 episodes, Greiner invested in 5 new opportunities and spent $575,000.00 of her money. Lori made her debut on the Shark Tank in Season 3 looking for new products for her QVC Show and wasted no time getting into the action. She was able to make five successful deals, and by the looks of it they all seem to be doing very well. 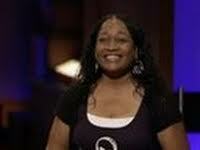 ReaderRest - This was Lori's very first and very profitable deal on the Shark Tank. She paid $150k for 65% of the ReadeRest business. M3 Girl Designs - Partners with Mark Cuban & Robert Herjevic for $300k for 30% equity. Show No - Lori makes a deal for 25% of the Show No Towel Business for $75,000.00. Air Cork - Wine Balloon - Lori goes in with Mark Cuban for $400k and buys the entire company w/ 2% royalty. Nail Pak - Lori buys a 40% share of the Nail Pak business for $50k. Back 9 Dips - Lori and Robert Herjevic team up on the Best Dip around on episode 404 getting 25% of the business for a combined $150k. Bag Bowl - Lori also invests in another (soon to be) QVC product on same episode getting 33% of the business for a $40,000.00 investment. Marz Sprays - Another Huge Deal with Lori Greiner for $200k and 25% of the vitamin spray business. A vitamin spray that definitely is a Hero! Scrub Daddy - The Scrub Daddy was an Instant Success and a very wise investment for Lori with another $200,000.00 investment in the same night but for only a 20% stake. They have already sold millions of dollars worth of the Scrub Daddy's that are now in thousands of stores across the country. Cool Wazoo - Greiner buys 25% of the business for $65k. A Fantastic Lesson in never giving up on your Dream. "Lori's Fans Triple after this deal". Plate Topper - finally, Finally FINALLY closes a deal with Lori for the plate topper on the air for $90,000.00 but negotiations continued after the Show, and She ended up walking away from this deal. That dude messed up BIG Time. A Great lesson on How NOT to negotiate with the Sharks. Game Face Tattoo's - Lori and Mark Cuban team up and buy 35% of the Game Face removable tattoo business for $450,000.00. With such a cool idea now backed by a billionaire and the QVC Queen Herself, look for the Game Face Tattoo's in stores everywhere in time for Halloween. Urbio Wall Garden closes the deal for the vertical wall garden business for $300,000.00 and 20% of the business and adds another very unique product to her collection. CordaRoy's Bean Bag Beds are just the coolest well-made bean bag you have ever seen. In just a matter of seconds, you can turn your bean bag into a comfortable bed. Lori is now the controlling owner with 58% of the CordaRoy's Bean Bag Bed Business for only a $200,000.00 investment. A Multi-Million Dollar Idea for sure! The Drop Stop is a clever devise that prevents things from entering between your seat and the center console in your car. Greiner ends up investing $300,000.00 for only a 20% stake in the Drop Stop but promises to make Marc Newburger & Jeffrey Simon millionaires very soon with this invention. No doubt it will drop a few coins in Lori's pocket in the process. Stella Valle Jewelry line inspired by two Military Sisters now has Lori Greiner and Mark Cuban again teaming up and investing together on the Shark Tank Show. Combined they put in $150,000.00 for 35% of the Stella Valle Jewelry collection. Me-Mas Gumbo Bricks will bring this authentic dish right to your door. Lori Greiner and Kevin O'Leary team up for the very first time and get into the Southern cooking Business for a combined $200,000.00 investment for 50% of the business. What is Lori Greiner's Most Successful Deal on The Shark Tank? 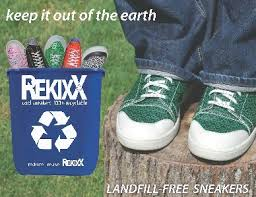 Lori Greiner's most successful deal made on The Shark Tank to date is the "ReadeRest" which She invested $150,000.00 for 65% of this unique business idea. Greiner claimed on the Shark Tank the other night that sales have already topped the $3 million dollar mark in such a short amount of time. Was it a good idea for Rick Hopper to give up so much equity in His invention to Lori. If you ask his bank account it would be an overwhelming Yes. He most likely will become a millionaire within the first year of being seen on The Shark Tank and of course from working with Lori Greiner. UPDATE: this part of the article was written at the beginning of Season 4 before several other new products are now giving the Readerest a run for its money. it's getting very hard to pick out a single clear winner when she has so many Hero's. What is Lori Greiner's Net Worth? Lori Greiner has so many successful products on the market that her net worth continues to climb at a very fast pace. When tying two very successful brands together (The Shark Tank and QVC) and weaving your own brand in between, it's a recipe for major success that won't be slowing down anytime soon. Lori Greiner's net worth is estimated at between $15 Million and $20 Million at present time. It still may be a bit low compared to some of the other Sharks on the Shark Tank, but then again, she is young and a very Hungry Shark that will catch them in no time. She's mostly been interested in very specific products that the other Sharks might not even consider which gives her a clear edge. This has led to a whole new aspect of this famous Reality TV Show, and gives many more people with cool ideas help bringing them to market. This is an excellent way for you to get your product in front of Lori and see what she thinks about your invention. The Hero or Zero App puts your idea through a series of questions to see if you are on the correct path to success. It's a Free App available for both Apple and Android products. If all the Sharks looked like Lori Greiner I would watch the Shark Tank all the time. Oh wait a minute, I already do. WOW! The perfect woman! Beautiful, extremely smart, business savvy, Beautiful, extremely smart, rich and an all-round nice lady! I would LOVE to meet her in person. I would probably be embarrassed! Lori Grenier is my idol/hero! I have invented some products in my mind, but never followed through. Now that I am retired, I am going to GO FOR IT. I would say - go for it. I waited until I retired before working on an idea I had. I developed a product called "Mail Chime." I just finished writing a book called "Take Your Idea to the Marketplace." You can find it on Amazon. I think the book will help anyone who has an idea, so you may want to read it. Hi love your show ,when I grow up I want to be like you! I love Lori's personality. I hope I get the privilege of meeting her. My favorite entrepreneur of all time!!! We just contacted Lori to tell her about our patent for PurifyTM which is an all natural lab tested formula that kills MRSA 99.9% within 5 minutes. The germ is resistant to all known antibiotics...scary. CDC has invited us to Atlanta to present the product to a five physician committee. The CDC and World Health Org. call MRSA the biggest pandemic threat that has ever faced humanity..and there is no cure in sight. We have the best and safest preventative and just a few more dollars will get us to the first us line. We need Lori's help! Ellen, I hope you are successful with this product. This will have the potential to help millions of people. I would be just one of those people. Good luck! What I hate is there are so many companies trying to make money off of you for marketing your idea… how do you do it safely?